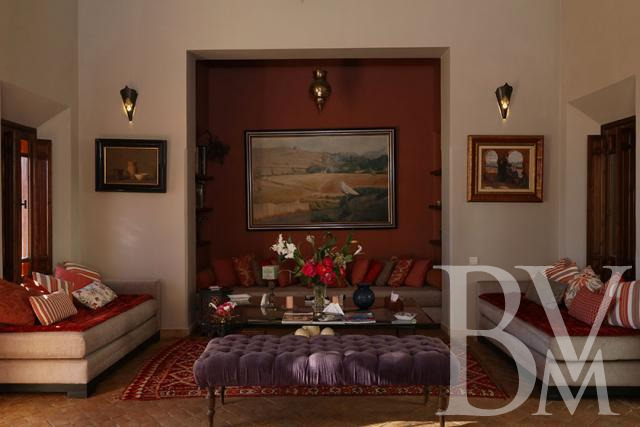 Born out of a desire to share the beauty and splendor of Marrakech and designed for the most discerning guests, this wonderful villa is the result of the combined effort of a Moroccan family who conceives hospitality like a privilege. 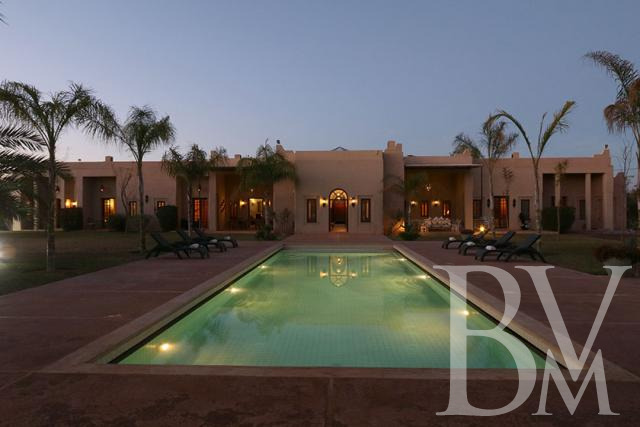 The villa cleverly combines beauty, luxury, tradition and modernity in a serene atmosphere. 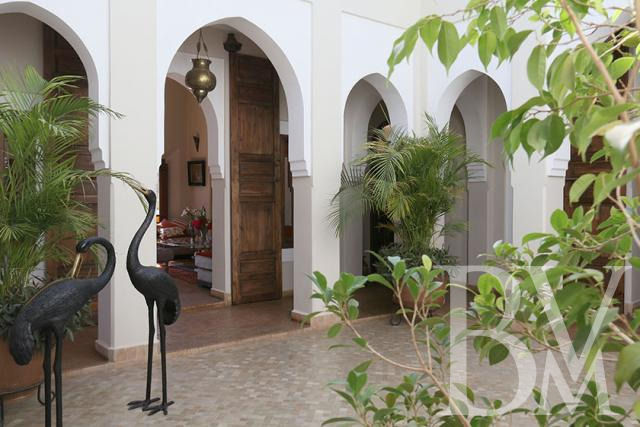 This villa is a place of discreet luxury and unrivalled beauty. 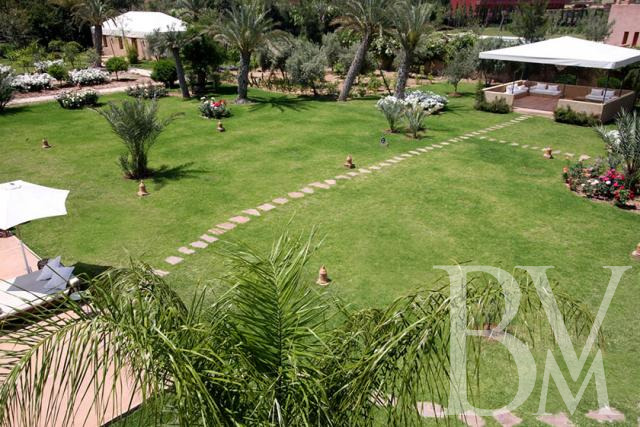 Set in the middle of a splendid Andalusian garden, this charming luxury hotel in Marrakech offers a splendid interior design of clean lines and uncluttered beauty. 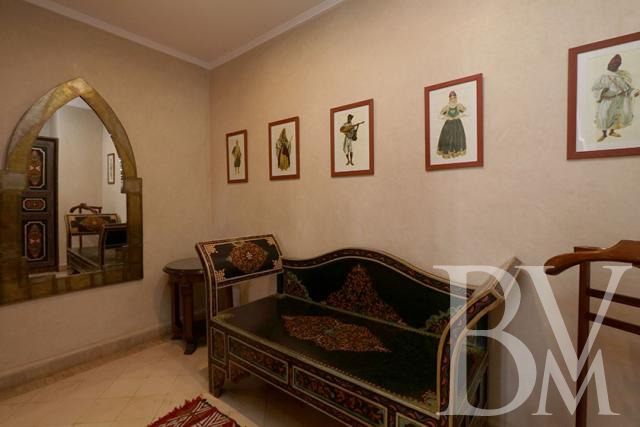 Decorative traditional Moroccan art, including zellige, tadelakt and bejmat elements, adorn the interior spaces. 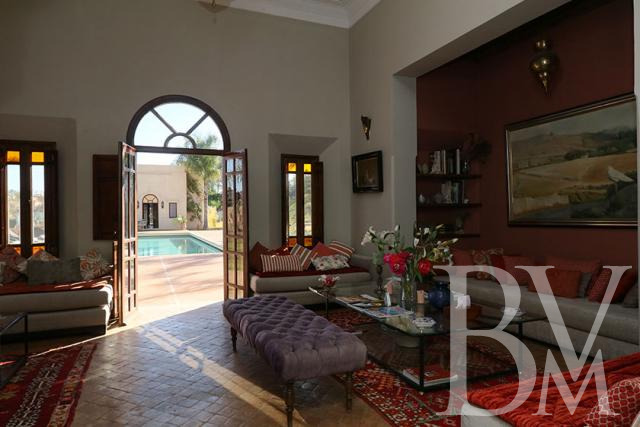 Its windows open up to the grandiose spectacle of the snow-capped Atlas Mountains. 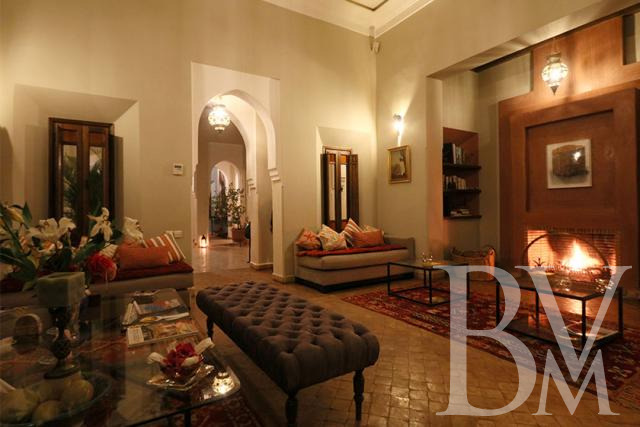 In addition to six luxurious suites the charming Marrakech hotel boasts a beautiful interior garden, a stylish swimming pool, a hammam (steam bath) and a tearoom as well as a cozy living room with a chimney - all equipped with sumptuous hand-crafted furnishings. 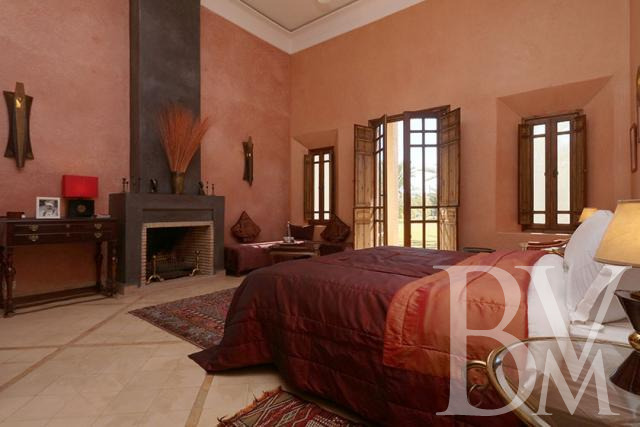 The villa boasts six luxurious suites equipped with all modern conveniences. 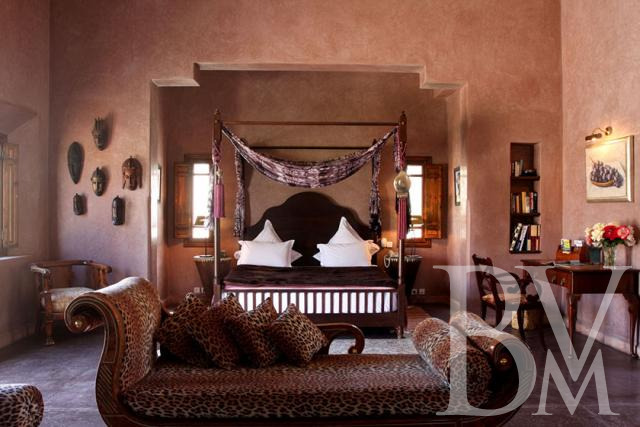 The restrained number of guestrooms aims at preserving the tranquility and autonomy of each guest. Every room of the luxury hotel carries the elegant signature of the hostess. Each one is uniquely decorated with its own theme, color and share of souvenirs and fantasy. 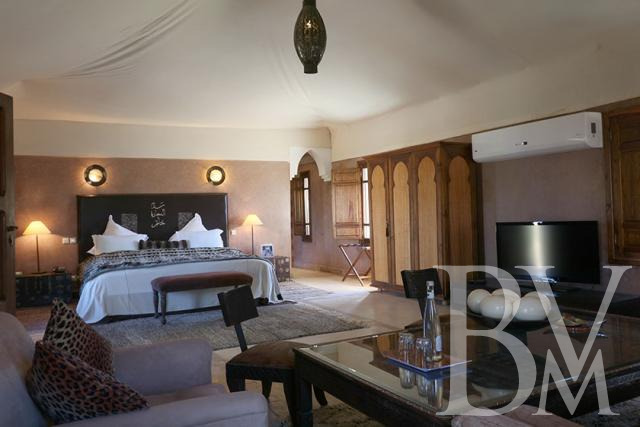 An impeccable set of in-room facilities and amenities ensure your vacation in Marrakech to become a comfortable one: air-conditioning, balcony, safe deposit box, room service all day, ADSL Internet access, direct-dial phone, central heating. 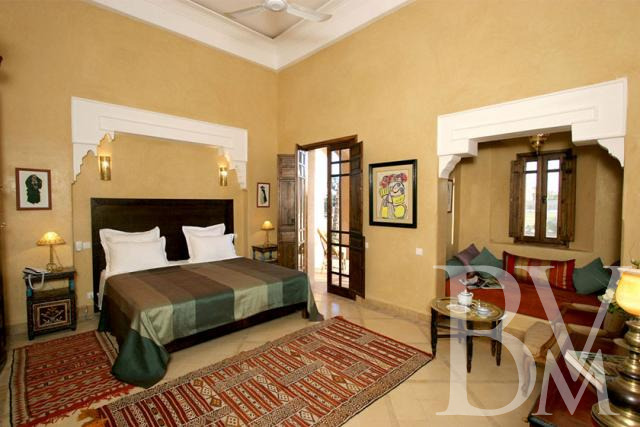 Description : Junior suite with living room and individual terrace. View on the garden and the Atlas Mountains. Yellow tadelakt, theme Sahara. 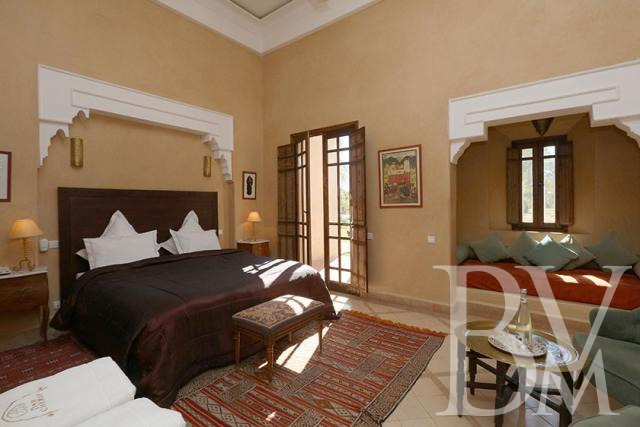 Description : Junior suite with living room and individual terrace. 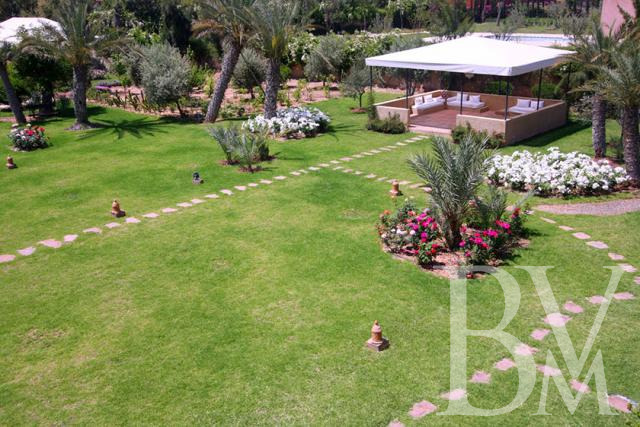 View on the garden and the Atlas Mountains. Green tadelakt, theme berbere. 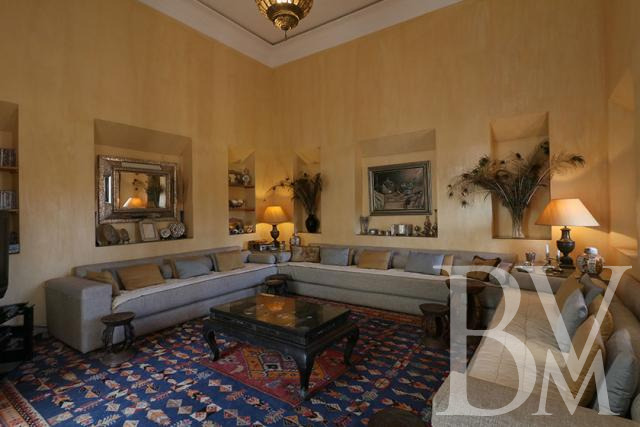 Description : Spacious suite with living room and big individual terrace. View on the garden and the Atlas Mountains. Theme Marrakech. 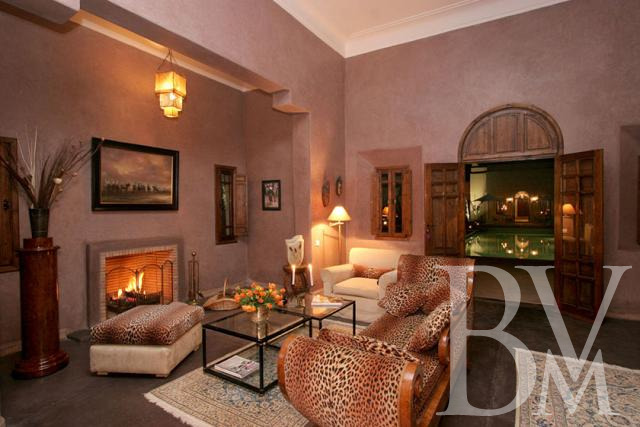 Description : Royal Suite with living room and chimney with an individual terrace. View on the garden and the Atlas mountains. Separate dressing room and spacious bathroom with separate bath tub and shower. Red tadelakt, theme Pacha. 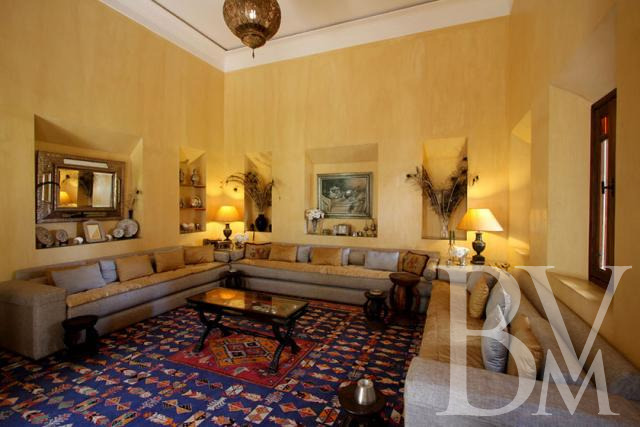 Description : Imperial Suite offering living room with chimney and a large dressing room that can be used as a double room. Spacious bathroom with bath tub. Private terrace with intimate view on a beautiful japanese garden. 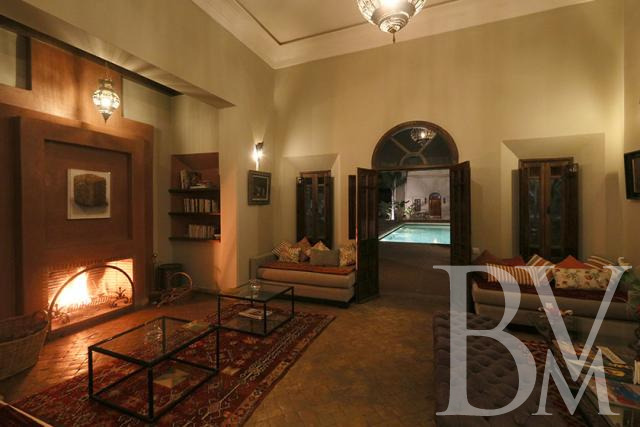 Independent pavilion outside the main riad. African theme. 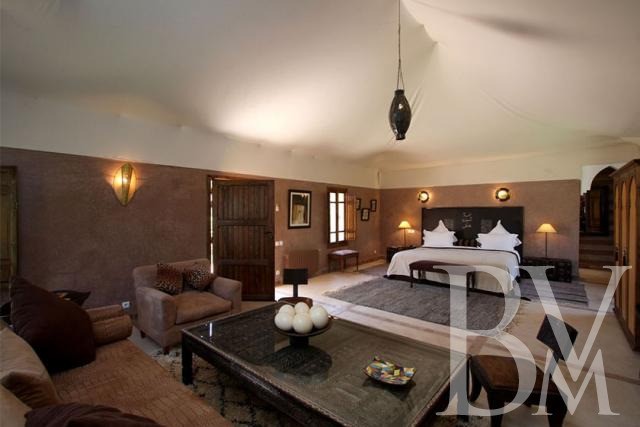 Description : Caidal tent set up as a luxurious suite. 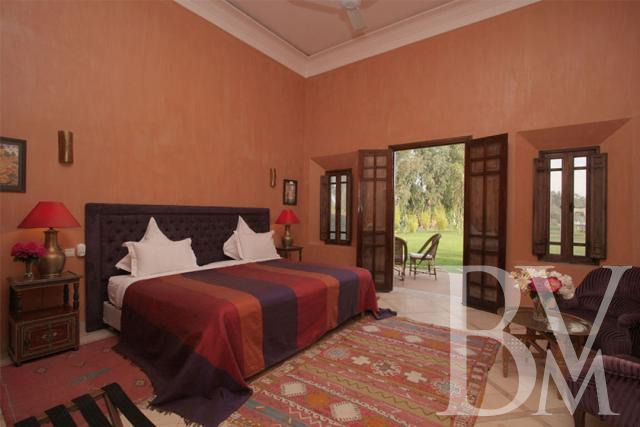 Experience the nomadic life while beneficiating from all the modern comfort. 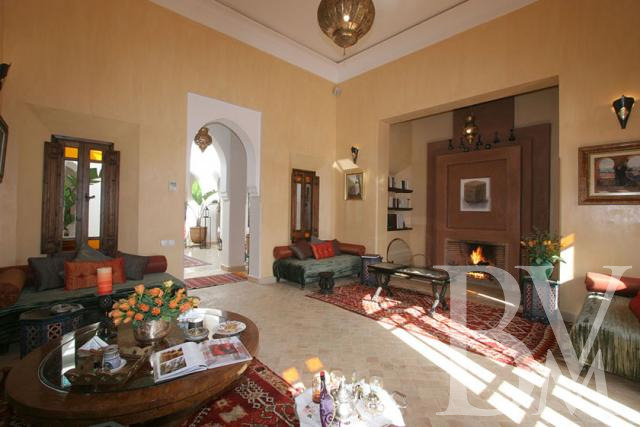 Independent Suite outside the main Riad. Spacious bathroom with large corner bathtub in pink marble. Private terrace. Theme nomad. 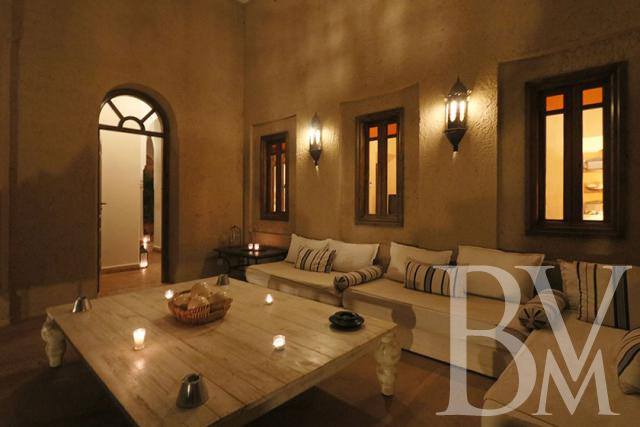 Villa rates are based on per night, VAT and handling charges included. For a privatization, a damage deposit will be charged at the time of the check-in. Cancellation received 30 days or more before arrival date: 50% of the total amount of the stay. Cancellation received between 0 to 30 days before arrival date: 100% of the total amount of the stay. The cancellation expenses will be charged on the credit card used for booking. In case of no-show or anticipated departure the guarantee deposit is non-refundable.